← Elafin and the elastic shape of the gut, are they swarm interactions with the bacteria ? ACOUSTIC waves of frequencies below 10 Hz are common in the atmosphere. They are generated by various sources, including wind, thunderstorms, weather fronts, magnetic storms, aurorae, ocean waves, earthquakes, and many of man’s mechanical devices. Many of these atmospheric oscillations are of high amplitudes (frequently well above 100 dB SPL at frequencies below 5 Hz, and above 120 dB below 1 Hz) but because they are outside the normal limits of human hearing they usually go unnoticed (although humans can detect extremely loud artificial infrasounds generated in test chambers, these sounds are louder than most natural infrasounds and verge on the threshold for pain). It has been suggested, however, that migrating and homing birds might make use of the cues provided by such infrasounds. During our ongoing study of the sensory basis of avian orientation, we investigated this possibility. We report here that homing pigeons (Columba livia) are sensitive to infrasounds at reasonable amplitudes. As far back as 1977 the process of understanding how pigeons navigate had perplexed scientists. Various theories have been brought forward concerning especially the capacity to sense magnetic detection, to pick out local smells plus using various visual cues, all senses thus assisted these birds toward homing back to their starting place. Tantalizing evidence was noticed twelve years ago during a race involving release of homing pigeons from Nantes, France after having being transported from their native English lofts. 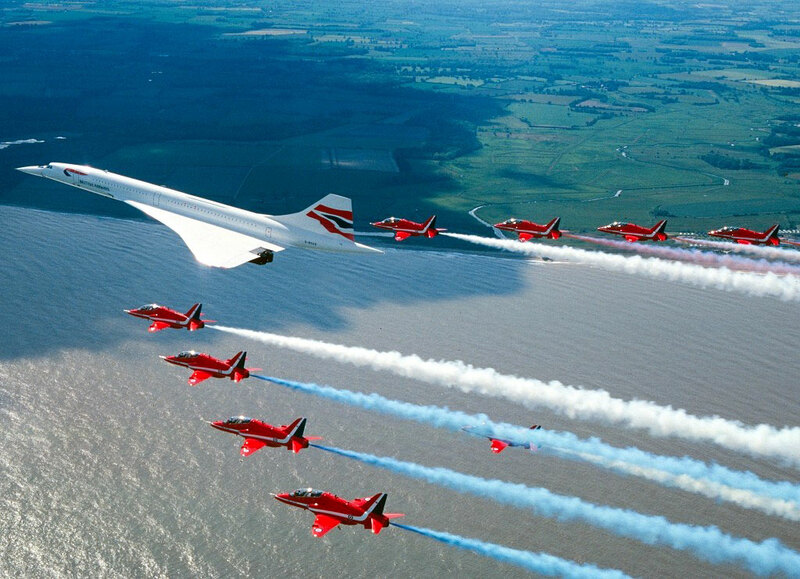 By coincidence at the same time a trans-Atlantic Concorde flight originating from Charles de Gaulle/Roissy Airport crossed over the homing pigeons return trajectory, releasing its sonic boom. The birds became disoriented in their return trajectory vector and none returned to their home base. ” Could it be that these pigeons navigate somehow using specific sound wave vibrations from the Earth,” asked a geologist from the US Geological Survey, Jonathan Hagstrom. I’m quoting from his 2000 report in The Journal of Experimental Biology, 203, 1103-1111. So indeed, ss the supersonic plane winged overhead, the 100 Km ground width dimension boom carpet from the plane’s Mach cone completely disrupted the orienting Earth sounds the pigeons were homing on. Hagstrom proposed the homing pigeons disorientation as, “An acoustic avian map is proposed that consists of infrasonic cues radiated from steep-sided topographic features; the source of these signals is microseisms continuously generated by interfering oceanic waves. Atmospheric processes affecting these infrasonic map cues can explain (such) perplexing experimental results from pigeon releases.” Magically, these homing pigeons are capable of listening to Mother Earth’s language. Yet their homing sense is different from the seasonal migrations that we are used seeing twice a year here in Montreal as Canadian Geese flow over in V formation during Fall to return in the following Spring. “Homing pigeons rather than migratory birds are the preferred subject of avian orientation and navigational studies because they will home on demand instead of seasonally. This remarkable ability of birds raises the question of what sensory cues they use to determine their location relative to their destination (map sense) and to select and maintain that direction in ﬂight (compass sense). The compass senses are fundamentally understood but, although experimental birds react to a number of different sensory cues, the nature of the long-range map sense remains unknown. Kramer (1953) ﬁrst suggested that birds must have both map and compass senses to traverse great distances (hundreds to thousands of kilometres), and he demonstrated that their usual daytime compass is the sun. Homing pigeons whose circadian rhythm has been shifted by 6 h (quarter day) will depart from release sites 90 ° off the homeward bearing (quarter circle) under clear skies (Schmidt-Koenig, 1961). Keeton (1971) found that clock-shifted pigeons, however, oriented and homed normally on cloudy days. He experimented with birds ﬁtted with magnets and control birds ﬁtted with brass bars, and concluded that pigeons also have a magnetic sense, used as a directional compass. Further experiments have shown that young birds carrying magnets cannot orient in full view of the sun, and that the sun compass must ﬁrst be calibrated to the innate magnetic compass (Wiltschko et al., 1981). A similar pattern of orientation and calibration to an innate magnetic compass has also been demonstrated for nocturnal migrants, which use the stars as their celestial compass (Wiltschko and Wilstchko, 1976). unfamiliar sites (Papi, 1989). In addition, birds raised in lofts with deﬂected natural air ﬂows show similar homewardbearing deﬂections at release sites (Papi et al., 1971). This last statement is I find the most compelling observing that the albatrosses can navigate over the open ocean for thousands of kilometers. Are the ocean waves transmitting to these same birds Earths grinding, shifting micro motions deep down on the ocean floor into the atmosphere ? But what of in the oceans themselves how do turtles navigate also traversing thousands of kilometers? When you Wikipedia the term: infrasound there is a clue. I will quote in its entirety because the descriptions is enticing. In experiments using heart-rate conditioning, Pigeons have been found to be able to detect sounds in the infrasonic range at frequencies as low as 0.5 Hz. For frequencies below 10 Hz, the pigeon threshold is at about 55dB which is at least 50dB more sensitive than humans. Pigeons are able to discriminate small frequency differences in sounds at between 1 Hz and 20 Hz, with sensitivity ranging from a 1% shift at 20 Hz to a 7% shift at 1 Hz. Sensitivities are measured through a heart-rate conditioning test. In this test, an anesthetized bird is presented with a single sound or a sequence of sounds, followed by an electric shock. The bird’s heart-rate will increase in anticipation of a shock. Therefore, a measure of the heart-rate can determine whether the bird is able to distinguish between stimuli that would be followed by a shock from stimuli that would not. Similar methods have also been used to determine the pigeon’s sensitivity to barometric pressure changes, polarized light, and UV light. These experiments were conducted in sound isolation chambers to avoid the influence of ambient noise. Infrasonic stimuli are hard to produce and are often transmitted through a filter that attenuates higher frequency components. Also, the tone burst stimuli used in these experiments were presented with stimulus onset and offsets ramped on and off gradually in order to prevent initial turn-on and turn-off transients. In order to use infrasound for navigation, it is necessary to be able to localize the source of the sounds. The known mechanisms for sound localizations make use of the time difference cues at the two ears. However, infrasound has such long wavelengths that these mechanisms would not be effective for an animal the size of a pigeon. An alternative method that has been hypothesized is through the use of the Doppler shift. A Doppler shift occurs when there is relative motion between a sound source and a perceiver and slightly shifts the perceived frequency of the sound. When a flying bird is changing direction, the amplitude of the Doppler shift between it and an infrasonic source would change, enabling the bird to locate the source. This kind of mechanism would require the ability to detect very small changes in frequency. 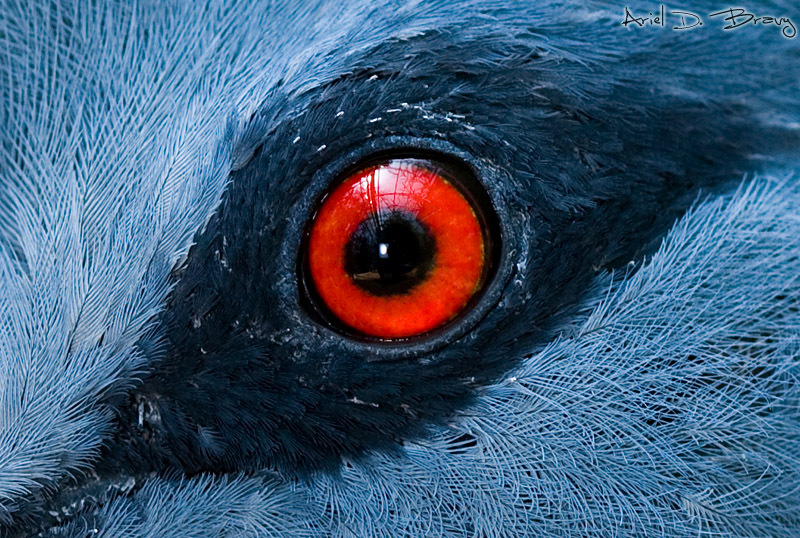 A pigeon typically flies at 20 km/hr, so a turn could cause up to a 12% modulation of an infrasonic stimulus. According to response measurements, pigeons are able to distinguish frequency changes of 1-7% in the infrasonic range, showing that the use of Doppler shifts for infrasound localization may be within the pigeon’s perceptive capabilities. In early experiments with infrasound sensitivity in pigeons, surgical removal of the calumella, a bone that links the tympanic membrane to the inner ear, in each ear severely reduced the ability to respond to infrasound, increasing the sensitivity threshold by about 50dB. Complete surgical removal of the entire cochlea, lagena, and calumellae completely abolishes any response to infrasound. This shows that the receptors for infrasonic stimuli may be located in the inner ear. Neural fibers that are sensitive to infrasonic stimuli have been identified in the pigeon and their characteristics have been studied. It turns out that, although these fibers also originate in the inner ear, they are quite different from normal acoustic fibers. Infrasound sensitive fibers have very high rates of spontaneous discharge, with a mean of 115imp/s, which is much higher than the spontaneous discharge of other auditory fibers. Recordings show that discharge rates do not increase in response to infrasound stimuli but are modulated at levels comparable to the behavioral thresholds. Modulation depth is dependent on stimulus frequency and intensity. The modulation is phase locked so that the discharge rate increases during one phase of the stimulus and decreases during the other, leaving the mean discharge rate constant. Such pulse-frequency modulation allows the stimulus analysis to be independent of the peripheral tuning of the basilar membrane or the hair cells, which is already poor at low auditory frequencies. Unlike other acoustic fibers, infrasonic fibers do not show any indication of being tuned to a particular characteristic frequency. As you may have noticed I highlighted the word, calumella. Until this morning I had never come across this term so when I started Googling, that’s when things began to click. What is the calumella? What is it used for what might it have done in evolution? Let’s investigate. 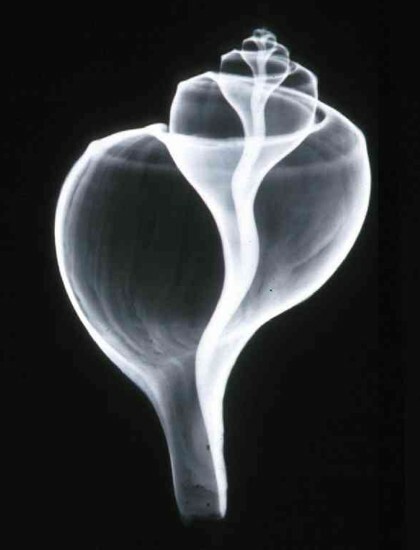 Within the embryology of the snail during the development of the Physella. What do these creatures look like ? From various descriptions in the snail the calumella is the attachment that holds the hard shell to the body but there is more to this. Let’s jump back to our pigeons for a brief observation: “In early experiments with infrasound sensitivity in pigeons, surgical removal of the calumella, a bone that links the tympanic membrane to the inner ear in each ear severely reduced the ability to respond to infrasound, increasing the sensitivity threshold by about 50dB.” So the calumella is at a critical junction of vibration transmission at the very attachment. Is this the tipping point of the link to capture the Earth sounds necessary for the pigeon to return to its loft ? What about other creatures, what does the calumella look like? 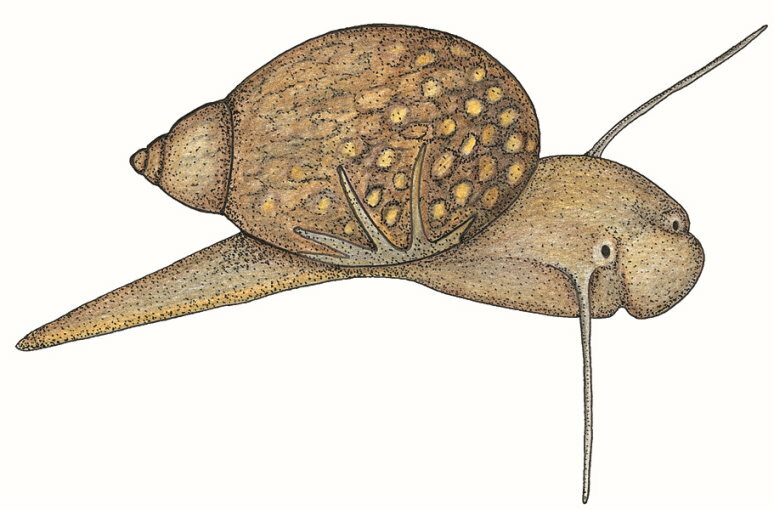 Back to the snail, from the embryo description revealing, “…..divides into two cells, soon into four, 8, 16 cells and form at the end a morula, that is to say, a spherical and compact mass of more or less spherical cells.” The description is of the shape of a clump mulberries from http://www.microscopy-uk.org.uk/mag/artsep07/wd-physella2.html. This is an X-ray of a conch shell which also have little animals inside them so that they can move around on the ocean floor. “The columella (meaning little column), is a central anatomical feature of a coiled snail shell, a gastropod. The columella is often only clearly visible as a structure when the shell is broken, or sliced in half vertically, or viewed as an X-ray image. 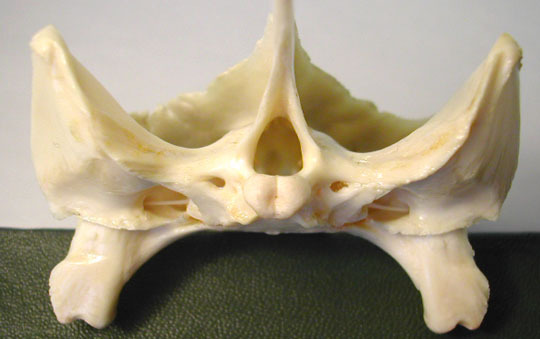 The columella runs from the apex of the shell to the midpoint of the undersurface of the shell, or the tip of the siphonal canal in those shells which have a siphonal canal. If you visualize a snail shell as a cone of shelly material which is wrapped around a central axis, then the columella more or less coincides spatially with the central axis of the shell. In the case of shells that have an umbilicus, the columella is a hollow structure. The columella of some groups of gastropod shells can have a number of plications or folds (the columellar fold, plaits or plicae), which are usually visible when looking to the inner lip into the aperture of the shell. These fold can be wide or narrow, prominent or subtle. These features of the columella are often useful in identifying the family, genus or species of the gastropod. “The cochlea and Organ of Corti are both parts of the inner ear. The cochlea is the auditory part and one of its main components is the Organ of Corti, which is the sensory organ of hearing. The cochlea is shaped like a snail’s shell and formed from three ducts that run in parallel: the scala media, which contains sound-sensing hairs; the scala vestibuli, which runs from the oval window; and the scala tympani. The ducts are coiled into two and one-half turns. Vibrations of the stirrup at the oval window cause pressure waves, which change as they pass along the duct. The duct ends at the round window, a membrane that faces into the middle ear cavity. Within the sweep of tension nets starting at the snail’s embryo stage the tension swirls behave to the rule of chirality the handedness that determines our immediate surroundings both for body shape and the evolution of symmetric forms in the lineage of all our mammalian ancestors. When we perceive a conch we see a shape but is the hard shell not only a protection but a sound amplifier for the oceans frequencies ? Are the critical harmonics that determine a conchs survival skills a connection to the vibrations and orientation within his habitat? Has the shape of the conch shell focusing the oceans music translated down through evolution into our middle ear apparatus, our vibration link to the Earth sounds? Within the oceans, the sounds that dominate the symphony of the sea are in the low range of frequencies. Yet the turtles fly in the water the way the pigeons fly in the air, they use their medium for lift. The geese migration patterns following contours of the Earths surface make for the beacon oriented behaviour in the air currents that migratory birds follow, sensing the winds vibration over the mountain ranges with attached valleys. Magnetic sensitivity may also be playing a role but it is the inner ear’s capacity within Nature in the homing pigeon and perhaps within the sea turtle to get back home. The lesson for humans is we can tap into the richness of sound to orient ourselves too. This heritage of navigation is an ancient sense of the music of Earth sounds that is the background to all the water formed creatures in our heritage toward evolution of life leaving the water to gain motion both in the air and on the land. I believe we can rediscover the Earth sounds to orient the human head to know the direction of up versus down especially after that detection is distorted following a concussion, causing those afflicted with a concussion finding themselves ‘in the fog.’ We can reach into our calumella based evolutionary heritage to use bone conduction to hear the Earth sounds again, to navigate by seeing with sound. I definitely wanted to write a simple word in order to express gratitude to you for these awesome techniques you are showing at this site. My extended internet lookup has at the end been honored with excellent details to write about with my companions. I ‘d declare that we readers are rather blessed to exist in a great network with very many marvellous people with beneficial concepts. I feel truly lucky to have encountered your weblog and look forward to some more entertaining moments reading here. Thanks a lot once again for all the details. I wish to express some thanks to you for bailing me out of this type of matter. Just after scouting through the world-wide-web and meeting methods that were not helpful, I figured my life was done. Existing devoid of the approaches to the difficulties you’ve solved by means of your entire guideline is a crucial case, as well as those which might have adversely damaged my entire career if I hadn’t encountered the website. Your personal ability and kindness in playing with all things was valuable. I am not sure what I would have done if I hadn’t discovered such a stuff like this. I can also at this time look forward to my future. Thanks so much for your professional and effective help. I will not be reluctant to propose the blog to anybody who desires guidance about this subject. eye can see. There really is something for everyone at this business. Dear Cerebrovortex, I’m not a scientist, but found that truly fascinating – yet it leaves me with questions to which the answers could modify how we are currently dealing with wind farms. I now want to go to a wind farm with a conch shell and see what I hear ;-). (iv) I’ve read that whales also appear to navigate to specific “turning points” as if following a map, could this be similar to the pigeon? Any insight into this that is possible would be greatly appreciated. My small community has been asked to host the wind farm that I mention above (on King Island, Tasmania). The island is a migratory stepping-stone between Victoria and mainland Tasmania – one of these birds is critically endangered and probably the most endangered bird species in the world with less than 50 birds left in the wild. Numbers have diminished since a wind farm was placed near its arrival/departure point from the main Tasmanian island. We have perhaps only a year to raise issues that need to be studied before a decision is made.